Rick Graham ranks the top pitchers to own for holds. Rick Graham updates his top 100 relief pitchers for SV+HD leagues. Rick Graham provides the final set of closer rankings before Opening Day. Leagues the score both saves and holds grow more prominent each year. This list covers the best relievers for that scoring option. 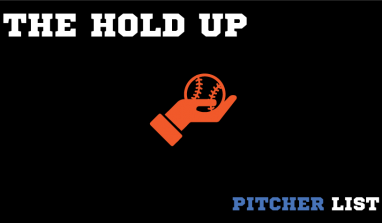 Rick Graham takes a look at the top 50 options for holds in 2019. Rick Graham takes a look at the top 40 relief pitchers for saves this coming season. Rick Graham dives into all 23 of his picks in the Pitcher List Staff Mock Draft. Rick Graham details every closer situation and reviews possible free agent reliever signings for 2019. Rick Graham's weekly update of the Top 100 Relievers to own in SV+HLDs leagues.